I’ve been smiling all week. Why? 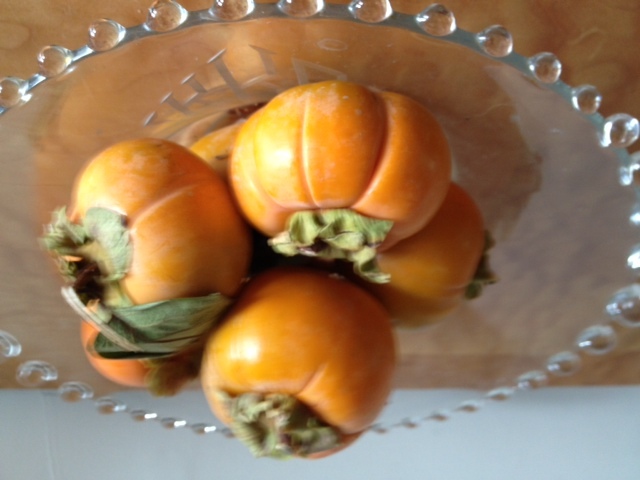 The first fuyu persimmons have graced the market. I love these orange-like-apple jewels. Raw, sauteed, roasted. Life can be simple & rich. 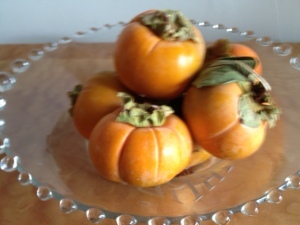 I say, to each meal its persimmon. And when persimmon season goes bye-bye, well we’re moving into asparagus time. Life is richly simple.